We are proud to announce Dr. Khalid M. Hameed as the recipient of Winrock’s 2016 Volunteer Spirit Award. 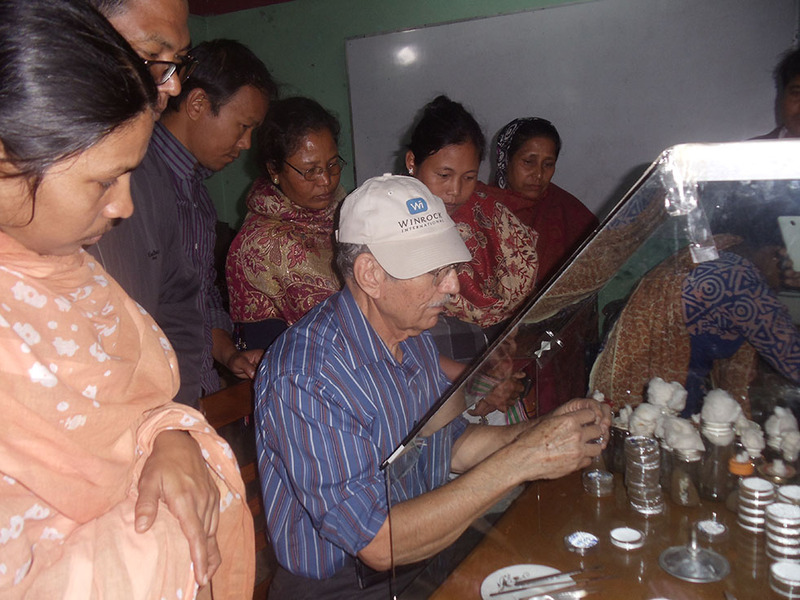 Dr. Hameed, Professor of Mycology and Plant Pathology & Physiology at Duke University, provided extraordinary assistance to the Farmer-to-Farmer (F2F) program in Bangladesh. Dr. Hameed contributed significantly to build the capacity of a group of underprivileged minority youth (mostly young women) to create an additional livelihood opportunity by introducing environmentally friendly, low-cost mushroom production practices using locally available materials. During his volunteer assignment, he provided technical training on mushroom production and also rolled up his sleeves to help prepare facilities (painting walls and cleaning floors) for mushroom growing. The participants were thrilled with his support and appreciated his motivational approach. Dr. Hameed’s assignment was the first time that the youth had been exposed to mushroom growing, but with his training and ongoing support, the youth were able to start producing mushrooms and spawn in a short period of time. The participants are now a part of a newly established mushroom association and have replicated the training with other young farmers. This activity has created an opportunity for the youth to earn an income, to improve family nutrition, and to serve as an example for others who want to follow in their footsteps. After returning home from his volunteer assignment, Dr. Hameed continued to demonstrate his commitment by responding to questions, providing ongoing guidance, and shipping three batches of materials to Bangladesh to help the youth succeed. Dr. Hameed notes, “We planted a seed, and it’s beautiful that it’s fruiting.” We couldn’t agree more! Winrock’s Volunteer Spirit Award is given to a volunteer who has made a significant difference through volunteering. This is a person who has gone “above and beyond” the minimum requirements of an assignment. He/she is an ambassador of the American people who fosters sustainable relationships and impacts on those we serve. Not only does this person exemplify great technical ability or approach, but they also show a charismatic approach with our hosts, and also with field and headquarters staff. Winrock International is fortunate to receive support from so many caring individuals that exemplify these qualities. Thank you to all of our volunteers for your incredible support! This week’s blog comes from a first-time F2F volunteer, Dr. Erica Bobbitt. 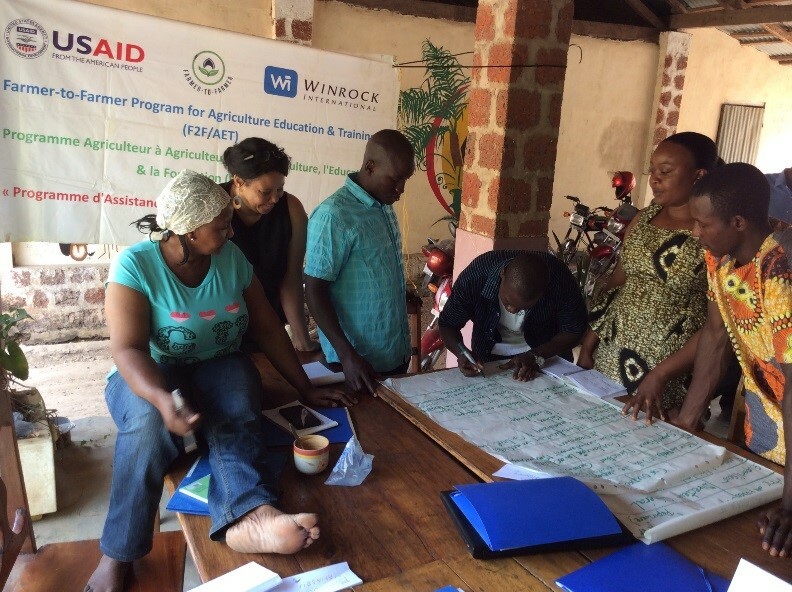 Dr. Bobbitt was tasked with providing assistance to Integrated Farm Fabik, a Guinean cooperative, to develop an Agricultural Education and Training program for women and youth in Guinea. Following an initial assessment of the organization’s needs, Dr. Bobbitt developed content that focused on leadership development, particularly utilizing strategies for organizational development and initiated the “Moving from Vision to ActionPlan.” By the end of the training, Integrated Farm- Fabik had established a vision statement; set goals for the recruitment and retention of staff and the recruitment, retention, and matriculation of students; and established a plan of action for the next eight years. Today’s blog is an excerpt from her assignment. It is not everyday one is chosen to engross themselves in a different culture with unique individuals in a different surrounding. 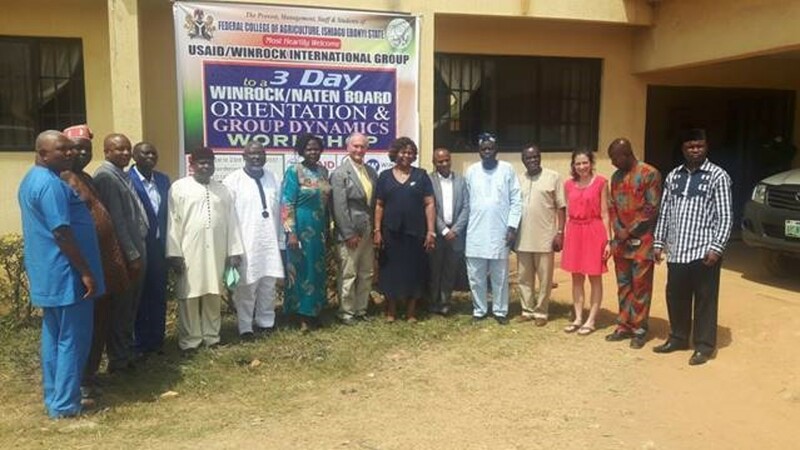 I was given such an opportunity when I accepted the Guinea, Africa assignment with Winrock International. My assignment in Guinea, Africa impacted me professionally and personally! I have always enjoyed working with people but to work with the host of Integrated Farm Fabik, Madame Sylla, the participants of Fabik and the Winrock International representatives of Guinea, was more than I could have ever expected. 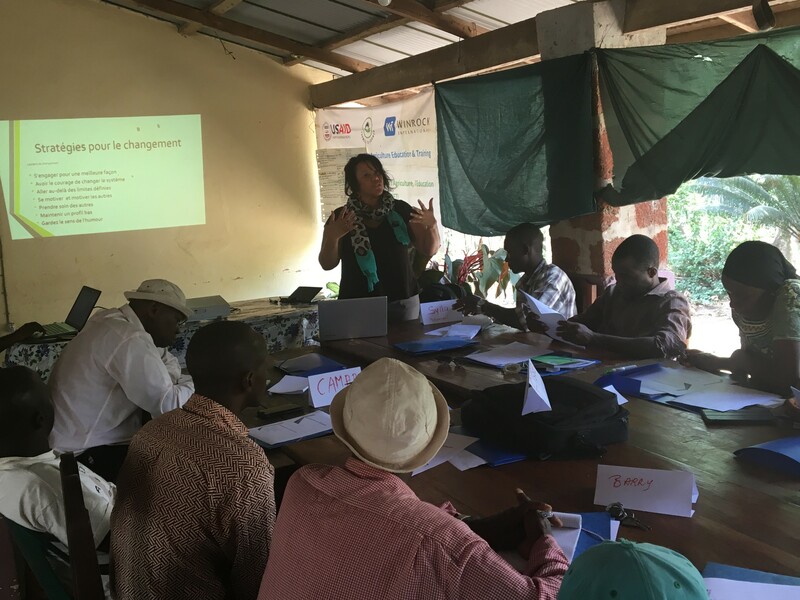 Initially, I was not sure what approach I would take for facilitating the training in organizational development and just how I would help such a deserving organization but it was my personal desire to serve them to best of my ability. I delivered content that I hope will propel the organization forward and allow them to accomplish the goals they have established over the next eight years. 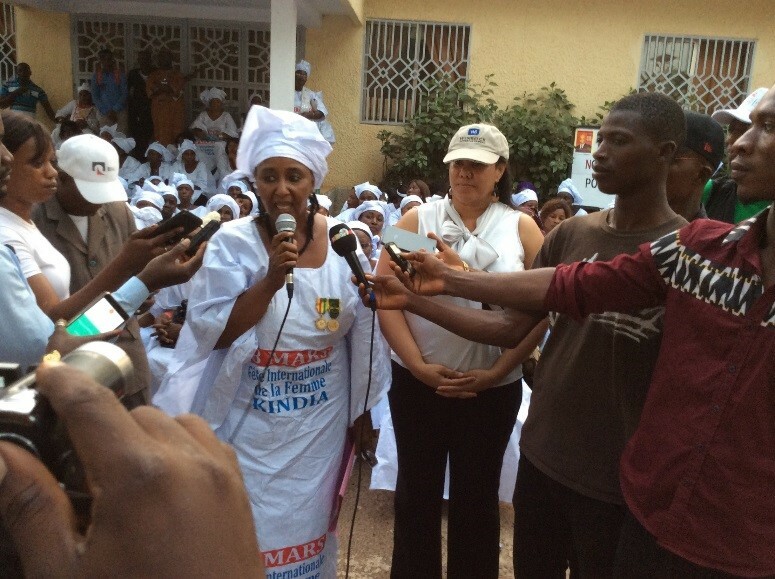 Lastly, my visit to Guinea would not have been complete without my participation in the Women’s Day Festival. What an amazing experience to be surrounded by beautiful, inspired, and enthusiastic Women! It is an event, I will never forget. This week’s blog comes from F2F volunteer, Johnson Ndi. He is an Organizational Development Specialist who has travelled and worked in over 59 countries across the world, volunteering with numerous NGOs in the area of development. Mr. Ndi served as a Peace Corps Response Volunteer from 2014-2015, working as a membership and marketing communication specialist with the Global Shea Alliances (GSA), a USAID-supported project, in Accra, Ghana. He also served as a Peace Corps Volunteer in Thailand from 2005-2007. 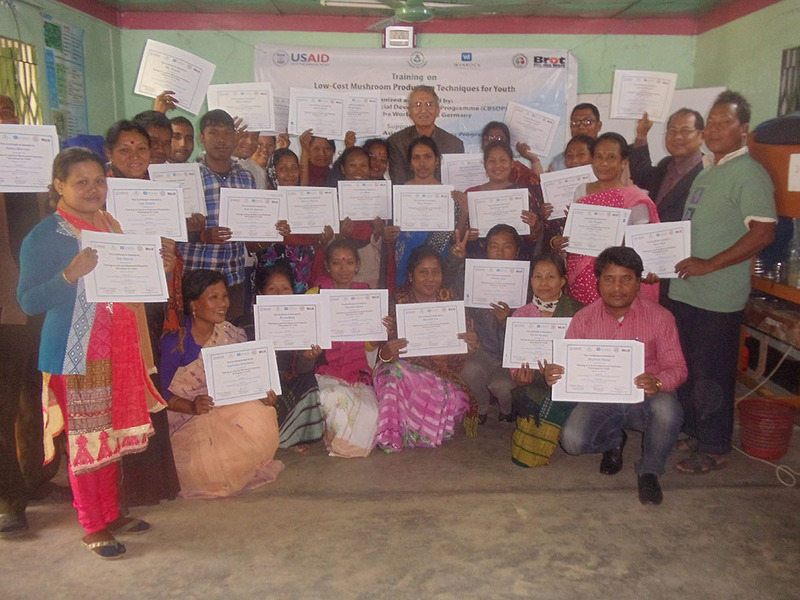 Mr. Ndi recently volunteered in Bangladesh with the Farmer-to-Farmer Program, providing youth entrepreneurship development training to staff and members of the USAID-funded Bangladesh Counter Trafficking in Persons (BC/TIP) Program and one of their youth trafficking victims groups, ANIRBAN. While in-country, Mr. Ndi was interviewed by a local magazine, “Bazarzatkaran”. Read below for excerpts from the interview. Q:You have a lot of experience in the field of entrepreneurship development and now have experience working with Bangladeshi entrepreneurs. Would you tell me the potential of our entrepreneurs? A:Your country is very rich in untapped resources that can be utilized for the good of the entire people and to curb youth unemployment and trafficking. Bangladesh needs NGOs who are heavily invested in community mobilization and youth/women empowerment activities geared towards sustainable businesses in rural communities. Q:What are the major limitations of our entrepreneurs? A: Agriculture is one of the most difficult sectors of the economy. Bangladesh’s smaller agribusinesses frequently harbor decent work deficits, where work is too often for extremely low wages or returns, frequently hazardous, and can take unacceptable forms, such as child or forced labor. Young agri-entrepreneurs lack the know-how and means to effectively address these situations. However, improving the quality of jobs by promoting worker’s rights, extending social protection, and strengthening rural organizations is at the core of agricultural transformation and crucial for achieving sustainable agricultural productivity. Targeted skills development in good practices and awareness-raising can go far to address these deficits, as can be supported through local public and private collaboration. Educational institutions and member-based organizations are effective mechanisms for engaging young people in agriculture, while increasing youth employment through on-farm and off-farm activities. Q: How can they overcome these problems? A: This problem can be overcome through education, community mobilization, and sensitization. Given opportunities and incentives, and mindset change, rural youth can profitably be redirected toward agribusiness, service provision, and market-oriented agriculture, with a huge impact upon their rural communities. This effort must extend well beyond reorientation and formal training, rather it must involve the development of detailed agri-business plans and creditworthy loan applications, leading to the establishment of new business ventures and services across the entire agricultural value chain. It must be built upon commitment at the national level, close collaboration among and with regional development partners to improve the enabling environment, and requires investment by the private sector and financial institutions. Equally important, the program must be attractive to youth, able to challenge counterproductive mindsets through building self-confidence, and must be led and owned by local efforts. Q: According to your observations, what are the core competencies of our entrepreneurs? A: Many of the youth involved in entrepreneurship today are increasingly using ICT to support their activities by relying upon mobile phones for their business activities. They also use mobile phones for recordkeeping and to access market prices and new buyers. Here in Bangladesh, I discovered that many young and older entrepreneurs are already tapping into this alternative opportunity to access finances for their businesses. Awareness of and access to these opportunities should therefore be promoted and facilitated for young entrepreneurs and young farmers. Q: What kinds of qualities are essential to become an entrepreneur? assumes all or a major portion of the risk! 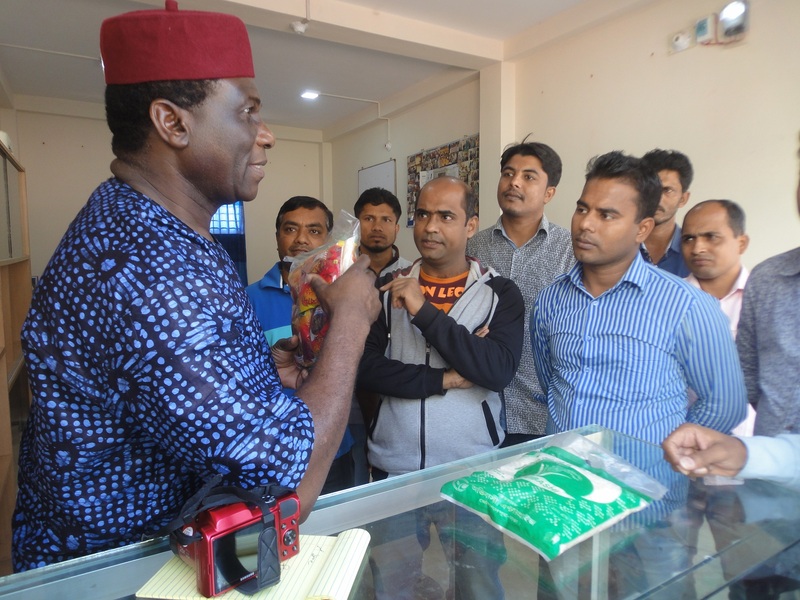 Johnson Ndi discussing opportunities with youth entrepreneurs in Dhaka, Bangladesh. Over two decades, farm owner David Pearce has completed 45 volunteer assignments in 15 countries for Winrock International, most often with the USAID-funded Farmer-to-Farmer (F2F) program. A recipient of the Presidential Lifetime Volunteer Service Award and the Volunteers for Economic Growth Alliance “Volunteer of the Decade” award (honorable mention), Pearce is a dedicated and dynamic volunteer who has made countless, lasting connections with beneficiaries and staff around the world. Recently, after a three year hiatus from volunteering, Pearce added a new country, Nigeria, and two assignments to his already countless number of volunteer assignments. 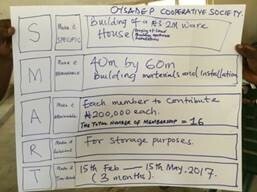 “My first assignment took me to a moderate city (750,000) Saki, Oyo State Nigeria. That’s as many folks in one city as in the State of North Dakota- where I call home. 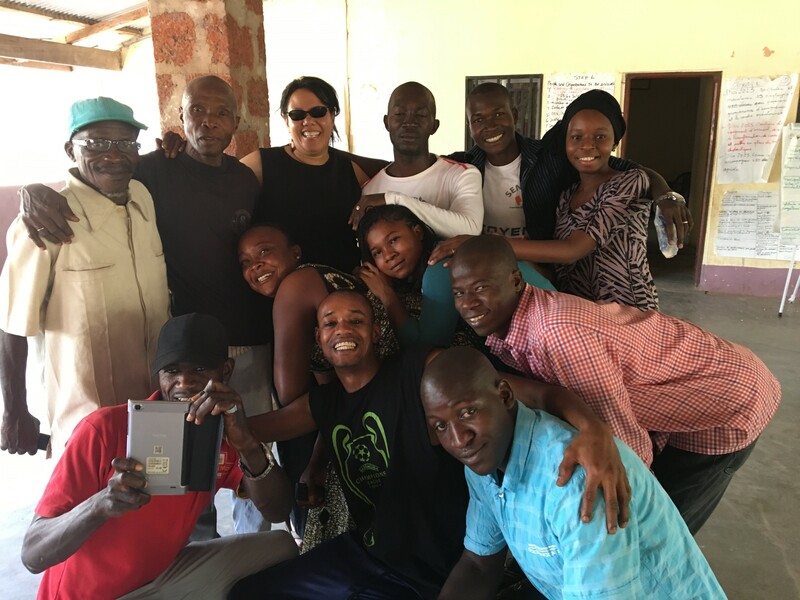 The mission was to teach about cooperative formation and leadership, keeping records and creating the Chart of Accounts and a Journal Ledger, then to write a manual that might be used to train in future cooperative members and other entrepreneurs. 1) At the start of the training we purchased a small MTN 4GLTE Internet HotSpot ($20)– it worked like a gem allowing me real time access to YouTube video (actually finding one of Nigerian Shea Orign, LTD). Video ascends the lecture mode and involves nearly 100% of the audience. I was able to search and find several resources, often in a language, my audience could understand- and then because of another’s insight and foresight to video and YouTube present them via battery powered laptop- how powerful to share and demo the possibilities. 2) Because of cameras, laptops, and telephones, we were able to display much of the group work done within small group interaction. Power was sometimes sporadic- but we capitalized on the opportunities. 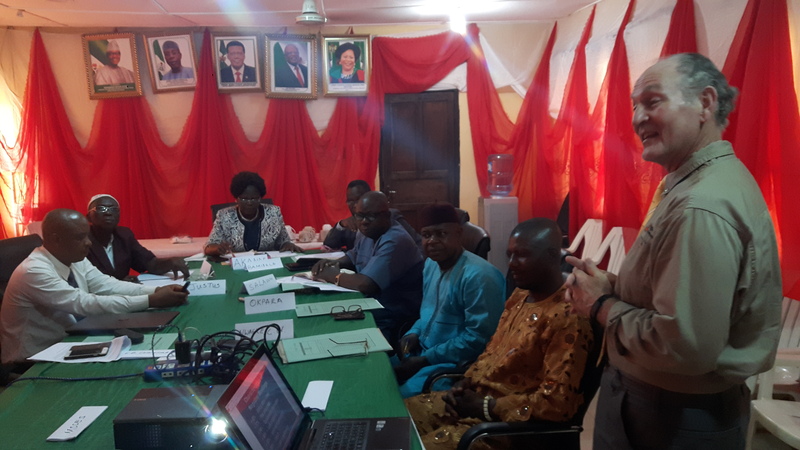 3) As a means of review- the final day of the training- we had “TRAINERS” within the group, volunteer and select chapters of the manual – the manual I was to prepare as a part of the overall workshop. The trainers then used the manual as an outline and review present the key areas we’d covered all week. It provided both a great review of the material presented, demonstrated alternative presentation techniques, incorporated cultural chants- but most importantly- a translation and interpretation into what had been shared and learned during our week together. It was most affirming! We ended the workshop with the presentation of certificates and a lunch!